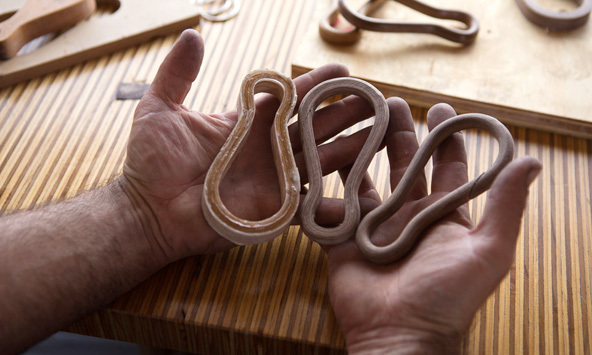 WHAT IS THE ORIGINAL WOOD CARABINER? 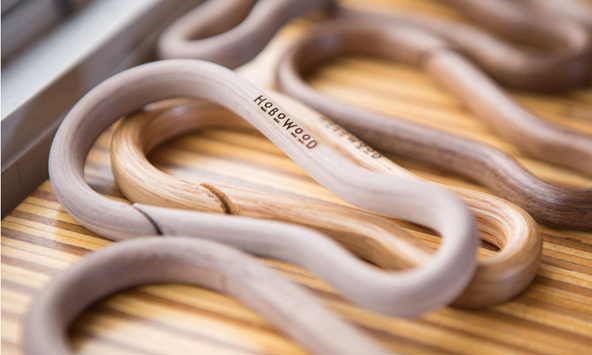 HoboWood launches the original bent wood carabiner onto the market. 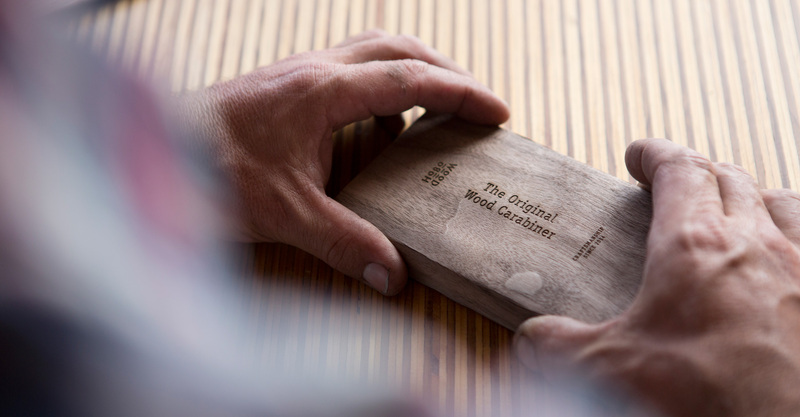 A solid piece made of 17 layers of wood are bonded together in a press mold. 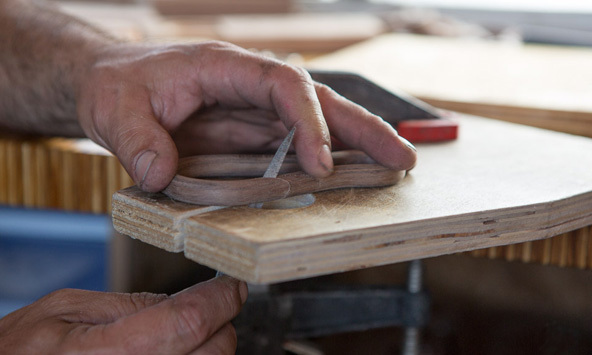 A thorough process of shaping and sanding turns each piece on a continuous and natural curve line. 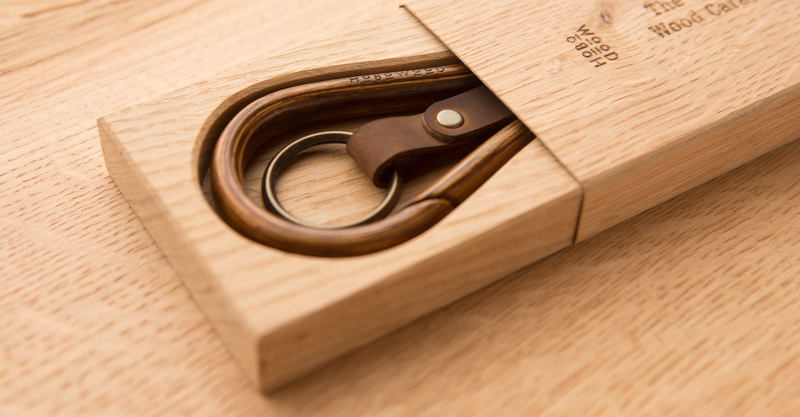 The result is a durable hand-crafted carabiner that is timeless in appearance and smooth to the touch. 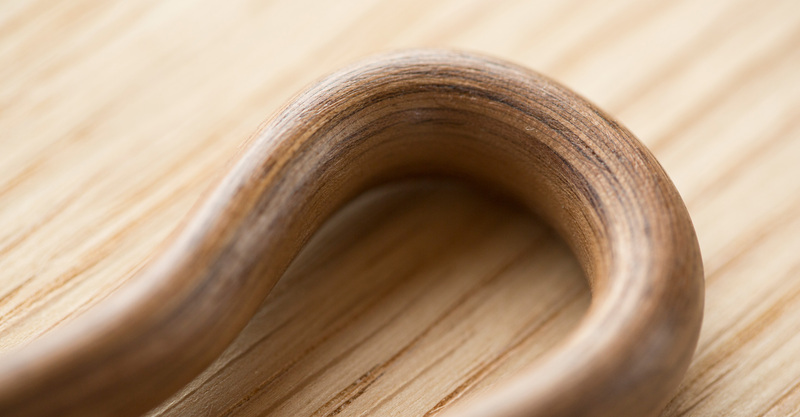 Bent laminations do more than give the product a graceful look; when used as a structural element, it is much stronger than if the piece were cut from a single block of wood. 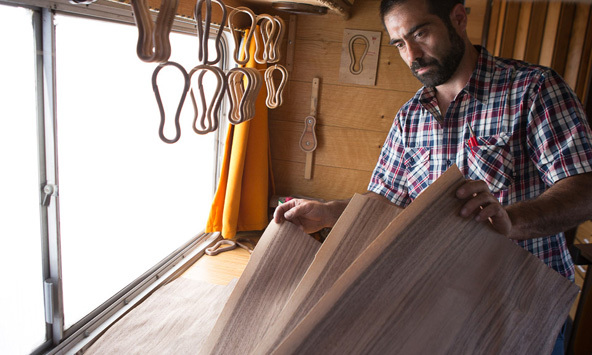 The curved lamination process optimizes strength where it is needed. The single cut for the belt loop allows the user to connect or remove it quickly. 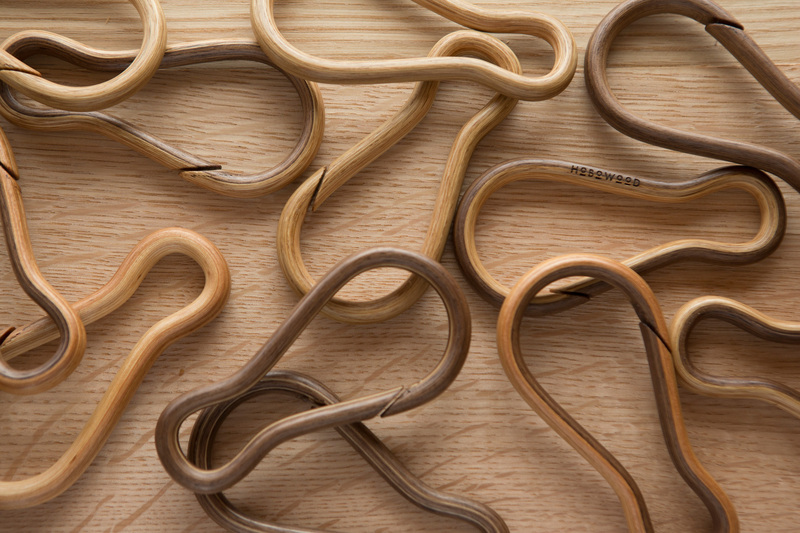 Because it uses laminated plys of wood, it is more flexible than you might think. 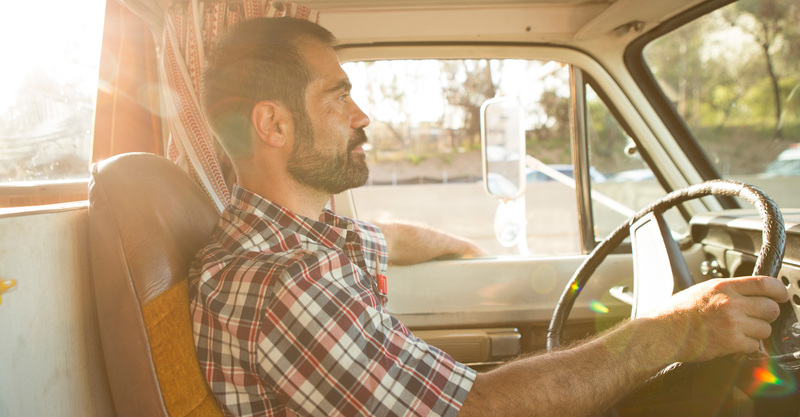 Each piece is completely crafted for HoboWood through a meticulous process. Finishing with three hand-rubbed coats of tru-oil and waxed. 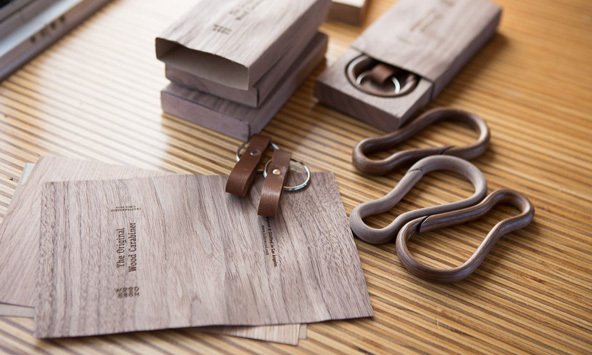 The HoboWood carabiner is designed to carry keys and pocket accessories. 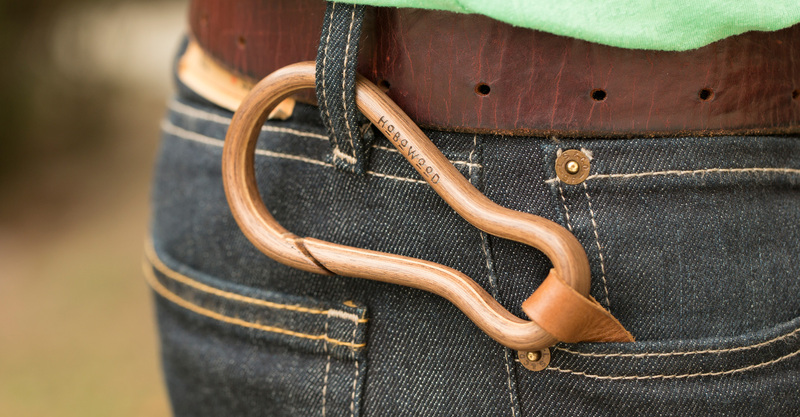 This carabiner is not for climbing or other activity where there is risk to human life or property. We recommend not stressing it beyond it’s physical limits. Used properly, the caribiner should offer a lifetime of use.